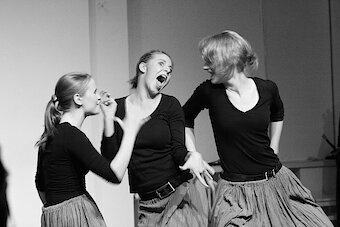 We highly recommend Shakespeare's Barn to you - All dramas presented by 5 ladies which Susanna Weber, director and educationalist, created last year with the pupils of the School of Theatrical Arts of the Culture Forum (Schule für Kunst und Theater des Kulturforum), Alte Post in Neuss. The young ladies rattle through the Shakespeare dramas slipping into the roles of queens, commanders, ghosts, lovers and villains. 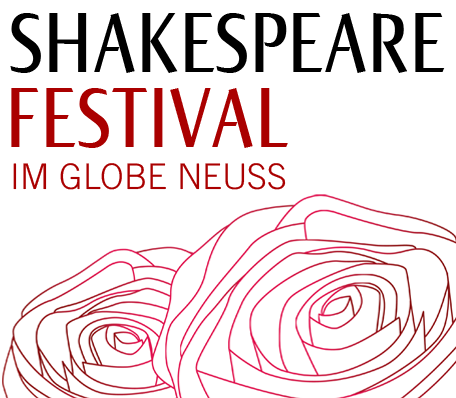 This is a witty pageant which not only mocks Shakespeare but also gets to the heart of him. 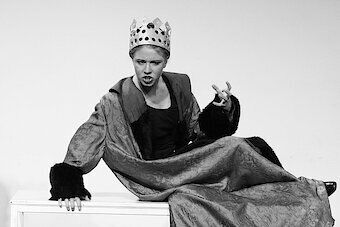 This professionally put-together school production is well worth seeing within the realms of the Shakespeare Festival in Neuss.